I like to cook, and I keep experimenting with my cooking to introduce new flavors that are healthy and delicious as well. As I bought a new dehydrator last week because my old one was not functioning too well, I was itching to try some new recipes. I bought an Excalibur, by the way. It is simply one of the best food dehydrator companies in the world today, and their machines just work. This time I wanted to break in my new dehydrator by drying one of the natural superfoods that go with almost any dish. Yes, I am talking about honey! Honey can be easily dried in a dehydrator and the resulting product can be used in a number of ways in different kind of dishes. I mostly like to use honey in baking and while making cookies, but it can also be used in desserts, smoothies, shakes, and drinks as a sugar alternative. People who are enthusiastic about their health like to use honey as a replacement for sugar in drinks such as tea and coffee as well. Remember, whether you use honey in liquid or dried form, it will always lend a unique flavor to any dish you choose to use it in. Today, I am going to share with you some of the ways you can also use dehydrated honey to give your dishes an extra oomph factor. The best part about honey is that you can use it as a powder or crush it in small granules and garnish your dish with it. 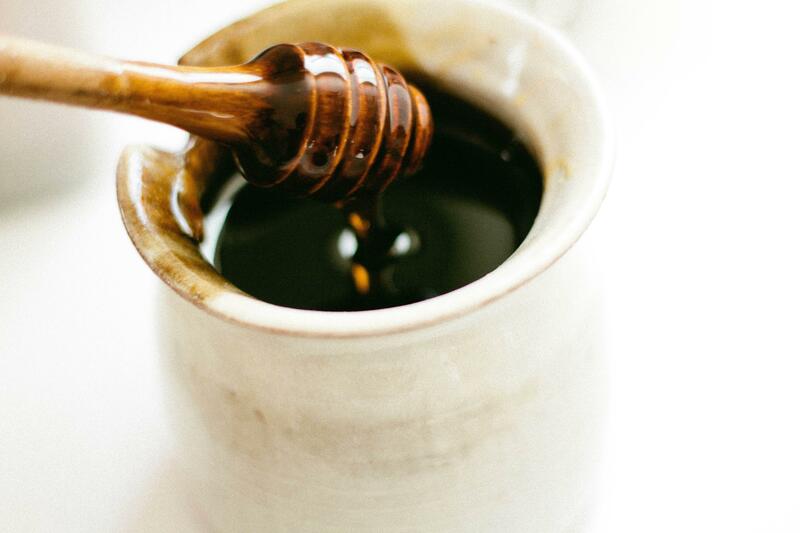 In all its variations, honey is simply divine when combined with any kind of dish. So, let's not wait any further and look into some creative ways you can use dried honey in your dishes. #1 Dried Honey is Excellent in Baked Goods - Whether you’re baking cookies or baking a cake, you can use honey in the dish instead of sugar. The best part about honey is that you can use less amount than sugar and it will taste the same. You can also sprinkle some honey on top of your baked bread to give them a special sweet kick. #2 Garnish Your Smoothies with Dried Honey Powder - If you like to add sugar to your smoothies, you can simply replace it with dried honey powder. Dried honey can balance the tangy taste of many of the smoothies and you can also sprinkle it on the finished smoothies to offer a great looking drink that tastes good, too. By using honey with your drinks you can avoid many of the health issues that come with consuming too much sugar. #3 Use Dried Honey In Cold Drinks - Who doesn’t like cold drinks on a hot summer day? Adding liquid honey to your cold drinks can be a bit difficult as it doesn’t dissolve too easily. Instead, you can add dried honey to the cold drinks like lemonade and iced tea as it is easy to dissolve and works as a healthy alternative to processed sugar. #4 With Oatmeal - There is nothing like a bit of dried honey sprinkled over your morning oatmeal. It adds a sweet taste to the power breakfast without being too overpowering like sugar. You can also add liquid honey to the oatmeal if you like to eat it warm, but dried honey works best if you like your oatmeal cold or at room temperature. #5 On Cakes and Muffins - Dried honey can be broken up into shards and stored so that it can be used as a sweet decoration on the cakes. Keep in mind; you need to store the honey in airtight containers otherwise it can absorb moisture from the air and lose its consistency. Simply stick the honey shards in the cake once it is done baking and you will have a great looking cake that will win the hearts of your guests. You can also break up the shards into small granules and sprinkle them over cupcakes to give them a delicious oomph factor. These are just some of the ways in which you can use dried honey in your cooking. There are many unique recipes that you can try with dehydrated honey and you just need to let your creativity take the reins. Dehydrated honey is a great alternative to processed sugar if you’re into living a healthy lifestyle, but still want to appease your sweet tooth. Drying honey at home is really easy. All you need is a dehydrator and airtight containers for storing the end product. So instead of using processed sugar that might contain preservatives or chemicals, next time try using dried honey in your recipes. You will get the same sweet taste, but without any of the health issues that come with consuming sugar. If you are drying honey in large quantity, then I recommend you to buy commercial food dehydrator instead of regular dehydrators. This article is written by Linda, a housewife and Chief Editor at DehydratorBlog.com which is interested in cooking and eating a healthy diet.